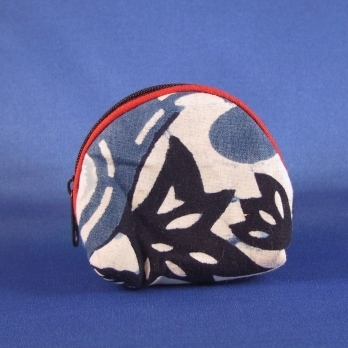 This change purse has a two-tone blue flower pattern on a white background. Beautiful and elegant. You will be admired for selecting such an artistic and fashionable accessory for your loose change!